We should be thankful for the long line of sacrifice that was made by persons in military uniforms for our country. I praise God for the memory of the Buffalo Soldiers who demonstrated through their service a belief in freedom and God. From their determined exploits we are heirs to a legacy of military personnel who have protected the freedoms we enjoy by their own blood, sweat and tears. It is tragic that our country and community does not hold those military heroes in a greater level of esteem. There has not be a conflict on this planet that did not provide clear illustrations of bravery in combat by persons who later had to fight for their own freedom and person hood in their very communities. Memorial Day is a day when we should remember the heroic efforts of so many persons here and abroad. Just left an amazing concert featuring, Ms. Kathleen Battle. On stage was the Morgan State University Choir with the Baltimore Symphony Orchestra. She sang the songs of the Underground Railroad. She and the MSU took, "I Don't feel No Ways Tired," to another level. Rev. James Cleveland is smiling in heaven as they sang the song made famous by his bass voice. The multi-racial and intergenerational audience gave her a standing ovation. For her encore she sand, "Were you there when they crucified my Lord." The hush of the audience carried on every word and was moved by the phasing. Ms. Kathleen Battle is one of the gifted songbirds of our ear. Beginning to work on my Summer Sizzler Series which will begin on Sunday, July 4, 2010. and end Sunday, August 29, 2010. 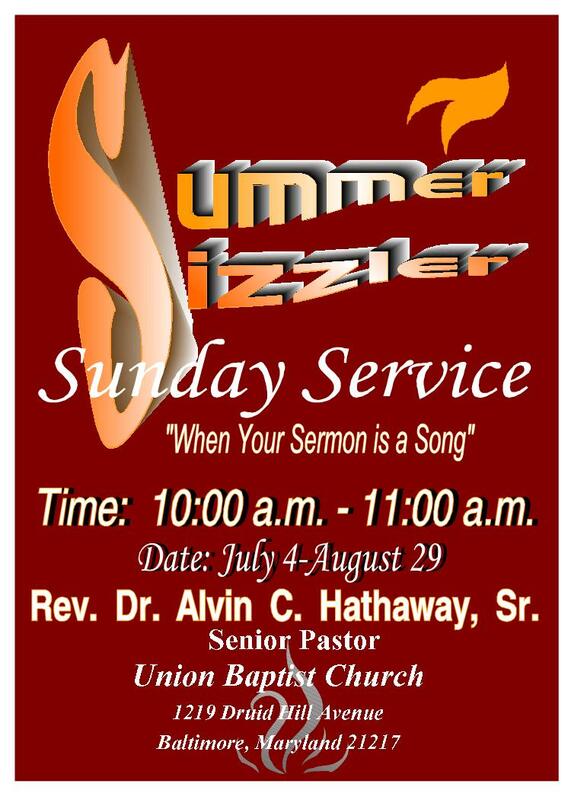 Service will be one hour from 10:00 a.m. to 11:00 a.m. This seven part series is entitled, "When Your Sermon is a Song." My complements to Ms. Zinah Brown who is designing the flyers for this series. You are viewing a sneak preview of an early draft. She and I would welcome feedback from my friends. Be safe and remember that God is still on the Throne. Enjoy your Memorial Holiday Weekend. Later this morning I will preach a eulogy for a women who God blessed to live 101 years. Longevity does have its place when one is blessed to live for more than a century, that person was an eyewitness to epic times in history. The tragedy of our times is that far too many persons are dying too young. Cut down in the prime of their lives by violence and preventable diseases. Is prayer the answer? Yes, when it is coupled with a commitment to change and improve one's circumstances. Yes, when options are available that will direct one from a path of destruction. Yes, when one develops the strength to break loose from unproductive behaviors and/or unproductive people. The old adage says, "that prayer changes things." A better adage is "that prayer changes people in the midst of things." More and more I'm convinced that there are people who need to change, and sooner is better than later. No you know any? Are you one? It is becoming very obvious to me that people of faith need to proclaim their faith in the marketplace. Elements of our society and community are rapidly disintegrating. The moral fabric is seriously frayed. I believe encouraging persons to read from a moral book, like the Holy Bible, will give people strength to face the issues of the day without succumbing to the tricks and traps of the evil one. I declare that Baltimore must become a Bible reading City and the process for making that declaration public begins now. In 2009 Philadelphia was designated as a Bible Reading City. Moves are being make to have Baltimore designated in 2010. Let me know if you would be a supporter of such a designation. We would use Bible reading as a method to curtail adult illiteracy by using it to teach people to read. For those who know their history this method was used during the period when it was illegal to teach those of African descent to read. We would establish literacy centers in local faith communities where person would come to read and learn to read. We would distribute free of charge Bibles to all those who wish to have one for their reading purposes. We would promote a structured program of reading for 100 adults. After completing the reading program they would receive a HP notebook for continued reading pleasure. Many of you know that you can download free of charge a Kindle application that permits one to download books for incredibility low prices. Prayer is powerful when one understands clearly the promises of God's word. 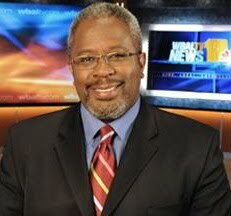 In 2010 Baltimore should become a Bible Reading City. Let me know if you like this. We need our Mayor to get on board!!!! Mr. Raymond Haysbert joins the celestial body of our sainted ancestors who craved a path of excellence and demonstrated the power of standing strong in the struggle. I was honored to call him my friend and confident. His insight provided me a glimpse into the power elite of our City and State. When he was the President of Parks Sausage I would visit him intrigued by the stories of Black empowerment and self determination. I marveled that he would taste batches of sausage prior to final production. His taste buds was the quality control for an international iconic slogan, "more Park's sausages, Mom please." His tall stature and confident stride dominated any room he entered. He was the man recognized by all as the epitome of class and distinction. Many may not know that when he took Park's Sausage public, the first African American firm to do so, he established the model for future African American entrepreneurs to access wall street and investments firms. He showed Mr. Johnson of Johnson Publications how they did it. Johnson publications followed suit and went public. On the local level one cannot identify any legitimate attempt of Black empowerment that he did benefit from his insight or participation. Even as I write this I am sadden, but I rejoice in knowing that he did his work while it was day and now that night for him has come, he has earned his rest. Well done my faithful servant. You have been faithful over a few things, now inherit the reward of God's promise. In talking with a group of volunteers, I suggested to them that they were able to go through life "in spite of." In spite of personal problems, they continued to persevere. In spite of perplexing predicaments, they made sense out of life. And, in spite of puzzling people, they persisted in being true to themselves. I posed the question of why they were able to do this and answered it by saying that they were people who were "greater." Greater people are those people who overcome personal problems, perplexing predicaments, and puzzling people in spite of feeling down, dejected and depressed. They are able to overcome because they understand in their spirit, "that greater is He that is in me, than he that is in the world." This morning I am praying for "greater" people who live life "in spirit of" because they abide in the Hands of God. 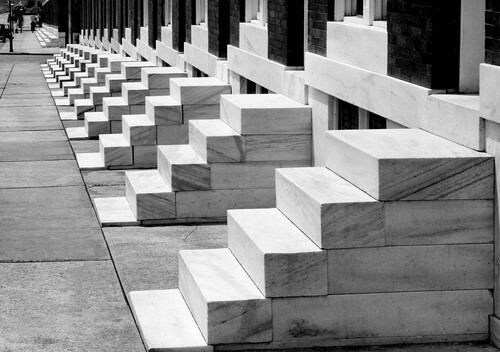 You are from Baltimore and must be "old school," if you remember getting up on Saturdays to scrub your front steps. You would have your bucket of water, scrub brush, and beach. Approximately at the same time all of the young people would be out on the front scrubbing steps with the unspoken challenge of whose steps would be the whitest. Such pride in where you lived was on display. Teaching responsibility and demonstrating a sense of community were the values that where taught. "Old school" could be "new school" if we return to instilling life values and moral principles in our children. If adults returned to their proper leadership and teaching roles and if we reinforced that where you live does matter; our communities would become oasis of hope, caring, and love. Instead of reminiscing, we need to be insisting that were we live becomes a community once again. Prayerfully this picture of two students reading is more than a pose for the photographer. 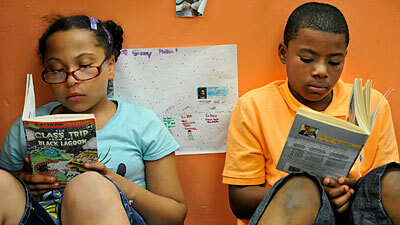 We need to encourage youth throughout the City to read daily. The ability to stimulate the imagine, to challenge reasoning, and to calculate consequences are all gained through reading. To enter into another's experience vicariously provides an individual with a microscopic view of the details of life without actually "touching the stove" yourself. The young man in the picture is one of the youth who matriculated from the Union Baptist Harvey Johnson Head Start program. This reaffirms that good habits and academic curiosity begin early in one's life cycle. Many praises are due to all of our students who take the time to read, read and read some more. 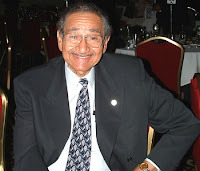 Ron Banks was the voice of the Dramatics. Many of you may remember his lead vocals on the song, "In the Rain." I want to go outside in the rain. It may sound crazy, but I want to go outside in the rain." His voice was full of sound when he led the song, "Whatcha see is whatcha get." He passed away in March of this year. 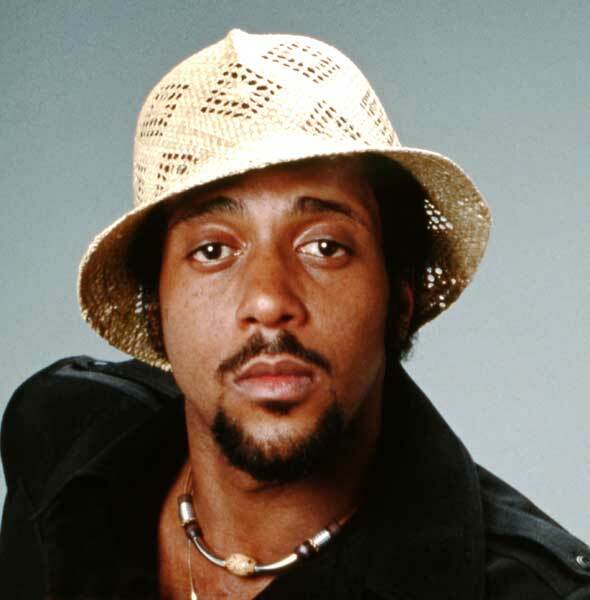 His contribution to the spirit and soul of music was too important to go unnoticed. He will be missed. He singing inspired and entertained many. Life provides us with so many precious moments. When we see the joy in a young child as their inquisitive nature asks the most basic questions, when their enthusiasm brings joy to your soul, and when their tender nature cause you to become their protector. Life provides so many precious moments. When love comes into your life and makes everyday seem brand new. When the joy of the Lord becomes your strength. When peace that surpasses all understanding overwhelms your journey. Life provides us with so many precious moments. Dear God, may we never become so pessimistic about life that we fail to realize that there is beauty in sunshine, beauty in trees, and with a little understanding you will discover that there is beauty even in me. Amen. Dear God, Monday signals for some the beginning of the work week. For others it looms as another day of non-productivity. Teach us to wisely use our time and our talents to create useful lives of service. Instill in us a sense of entrepreneurship to takes the resources that we have and multiplies them for Your good and our benefit. We offer to You the sum total of all we are and will ever be. We commit to You a life of dedication and discipline. We pray for a fresh anointing of Your spirit and a renewed sense of energy. Allow our work to be equal or greater than our pay. Challenge our minds and spirit to detest slothfulness, laziness and mediocrity. We know that we are more than conquerers through Christ that strengthens us. We know that You created us to be the head and not the tail. As the morning guilds the skies, we praise Your name from the mountaintops of our lives to the valleys of our experiences because You are worthy of all honor and glory. Amen. Oh God, we commend to Your honor and glory this month that we designate as Women's Month within our fellowship. The women of our church are special in every way. They nurture us by their never ending love. They empower us by challenging us to become our best selves. They teach us the blessedness of compassion that compels us to move from being self-serving to self-sacrificial. May You continue to bless these women who worship faithfully, who serve sincerely, and who empower us deeply. May they forever press for the mark of the high calling which is found in Christ Jesus. May their witness continue to be a beacon of light in this dark world. May their praise be a generation of children and people who rise up and call them blessed. May their reward be an eternal home in Your crucible of care. Amen. The Obama Administration never ceases to amaze me. 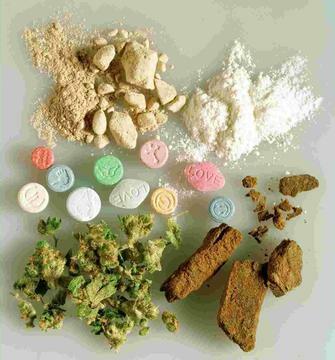 They are now suggesting that drug abuse should be treated as a health issue. For those of us who remember Mayor Kurt Schmoke, he advocated for the same position many years ago and received national criticism and scorn for suggesting the same thing. Mayor Schmoke revealed that persons with resources are able to treat themselves with medication; while the poor were relegated to back alleys and criminal activity to obtain their medication (drugs). One of the famous wings of Johns Hopkins Hospital is named for a doctor who was hooked on cocaine and was able to medicate himself. He understood that his problem was a health issue and not a criminal issue. With the Obama administration indicating that they will treat drug use as a health issue illustrates his wide ranging commitment to do what is right by all the people. Sometimes it is good to go see a movie. Went to see "Just Wright" and it was enjoyable. An opportunity to laugh, to cry and to simply get away from some of the madness that so easily enters into life. While the story is predictable, the great joy was watching the credits and seeing that Queen Latifah is one of the executive producers. We are watching the evolution of the "rap artists" into box office draws who are controlling and investing in their own productions. Add to the list Will Smith, Ice Cube, and Beyonce and we are witnessing an amazing growth in the movie industry. We have not yet gotten a large enough piece of the distribution market ( though Magic Johnson is trying); and as a result, we are dependent on national and international distribution channels beyond our control. Nevertheless, it is more than coincidental that the featured basketball team is one who has"rap star" investors - The New Jersey Nets. 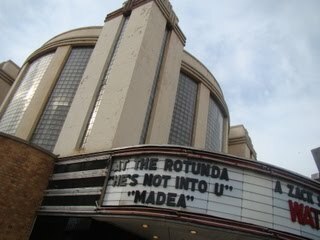 The back on forth of the Senator Theater deal on York Road highlights the shortsightedness of our City Leaders by allowing the Royal Theater on Pennsylvania Avenue to be torn down. The multiple investments of city funding and support clearly illustrates that a theater is important to the cultural psyche of a local community. Why all the investment and multiple chances to succeed is being given to the seemingly insignificant and irrelevant property? It is because the City Leaders and community leaders know the importance of a cultural center in a local community. Losing your cultural markers in a local community is like losing your soul's identity. As I think about the redevelopment of Pennsylvania Avenue, serious thought must be given to developing a new cultural marker, a place for entertainment, a place for employment, and a place where our souls can be enriched once again. There is no African American Community without soul! "Sometimes you have to speak the word over yourself, the pressure is all around, but God is present help. The enemy created walls, but remember giants, they do fall; speak over yourself, encourage yourself in the Lord. " Some mornings the news is so ominous, so tragic, and so depressing that one wonders if all is lost. There are too many murders, too many children being abused, too many acts of random violence; is it possible that You, O God, have turned your back upon us because of our sinfulness. Unfortunately we have too often made sin the center of our affections; when You require first place in our hearts. Dear God, we renounce any trick or trap of the evil one that is seeking to tempt us and draw us from Your presence. No riches on earth, no fame or fortune is equal to being in Your divine presence. We renounce the fleeting pleasure of sin that stimulates the flesh and diminishes our spirits. We renounce our sense of unforgiveness for deeds done to us; by overlooking the deeds we do unto others. Your word is true, "if my people who are called by my name shall humble themselves, and pray, and seek my face, and turn from their wicked ways; then I will hear from heaven, and heal their land." This morning we humble ourselves, we pray, we seek and we turn. We ask that You speak a word of peace is such a manner that all the people of the world will hear Your voice. Amen. In the quietness of this morning we turn our attention to Your mercy and grace. Too often we are quick to offer criticism and make judgments of others. Forgetting that if it had not been for the Lord on our side where would we be. Create within us a sense of compassion for those who stumble in their daily walk. Challenge us to be more tolerate of others failings and flaws. Empower us to extend a helping hand instead of a harmful arm. We thank You for picking us up and turning us around. We thank You for sticking with us every mile of the way. It is easy to judge. It is more meaningful to be just. Continue to shower us with Your blessings. Forever drench us with Your love. Continue to remind us that it is only by Your grace and mercy that has brought us through. Amen. We are rapidly losing our iconic images. People whose life has had a major impact on our culture and community. 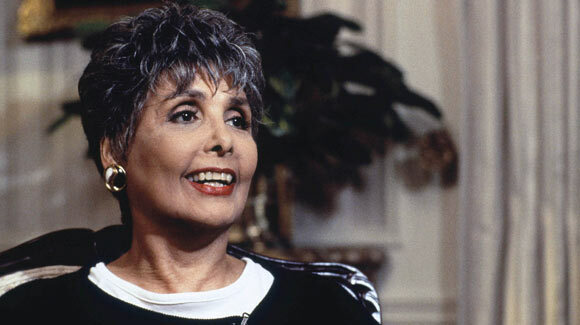 We add to that list Ms. Lena Horne, the ultimate definition of a diva. Graced with beauty, class and poise she crossed over way before it was popular and defined an early image of beauty. Her acting, dancing, and singing career spanned over seventy decades which demonstrated her staying power and her ability to survive and transcend shifts and trends in her field. The simply mention of her name invoked an image of a powerful woman. She was able to keep much of her personal life private. Nevertheless, she was involved in the Civil Rights movement and lent her celebrity status to causes that uplifted all people. She joins the illustrious legend of leaders who we have so recently lost: Dr. Benjamin Hooks and Dr. Dorothy Height. God is calling home to their eternal rests leaders in His army who have fought the good fight and have kept the course. Lena Horne a beautiful queen! The only thing I will say about the Lawrence Taylor matter are the words my mother would say to me. "There is no fool like an old fool." "A fool and his money is easily parted." Scripture informs us that we are to get wisdom. The Greeks called it the age of Sophia. We need to live life with the wisdom to know right from wrong. Also another wise person once said to me, "that you cannot make a success out of sin." So true! Dear God on the eve of another Mother's Day I pause to say thank You for the wonderful spirit of my mother. She nurtured and comforted me all the days of her life. How marvelous it is to know that she gave to me the best that she had. How wonderful it is to know that she taught me about the wonders of Your love. A love that doesn't let me go. As I reflect and remember the boundless love she had. I am awed to know that You love me even more. Work within me as You worked within her; displaying concern, demonstrating compassion, and devoting my life to the ways of the Lord. Amen. Dear God, looming is a disaster caused by man which is damaging the waters, the earth, and wild life. It will wreck havoc with the ecosystem You have designed to sustain the earth and to provide food and work for its people. We point no fingers, but recognize that we are all the blame. Forgive us for wasting the natural resources of the earth. Forgive us for our blind ambition and our egotistical drive for wealth and fame. We pray for the families who lost loved ones in the recent explosion of the oil rig in the Gulf Coast. We pray for the many people who will be directly and indirectly affected by the oil spill and its ramifications. Endow us with creatively to find new methods to obtain energy that do not do violence to the earth You have given us to inhibit. Strengthen our resolve to share and not to horde the resources of the earth. Protect us from corporate greed that appears to foster wickedness in high places. Permit us the peace of your presence and the comfort of your Holy Spirit. Amen. Dear Jesus, I love you. You're a friend of mine. You supply my every need. My hungry soul You feed. And with this thought in mind, I know just where to go. Denzel Washington is on Broadway playing the lead male role in August Wilson's Fences. We have all watched Denzel dominate movie screens for decades. This is a golden opportunity to witness this actor display his craft in person. My wife has always admired Denzel (probably too weak a word). So for our wedding anniversary in June I've purchased seats on the first row center. The best seats in the house! She will have the pleasure of watching him act up front and in person. At the end of the show, she will return home with me. That will be a present she will always remember. If you get the chance go see Denzel, he will be starring in this role through mid July. New York is a bus ride, train ride, or car ride away; if you are on the East Coast. Without God, this world indeed would be a desert place without an oasis; but thank God, every once in awhile, in this vast wilderness, we come to a spot that we call, "The Sweet Hour of Prayer," and there this little caravan may stop for awhile, and be refreshed with a little talk with Jesus. Let us unload now at that spot, and bow our hands and hearts in earnest prayer. Rising above every other need, O heavenly Father, is our great need for Thee. More than our bodies need food, and drink and clothing, and shelter, do our souls need to feast and find refreshment upon Thee, and to feel Thy righteousness wrapped around us as our garment, and to find shelter and peace for our souls in the refuge of eternity. Thou great Rock of Ages. Make us know that Thou art here, O God, and let us realize Thy presence in the affairs of our lives. Forgive us where we have sinned. Touch Thou the sick who are in need of your healing. Visit the prison-bound, and bless every burdened soul, and liberate every bound spirit, we ask in Jesus name, - Amen. Congratulations to Dr. Tim Tooten. He is a recent graduate of Virginia University at Lynchburg receiving his Doctor of Ministry degree. Well known as a news reporter, he is the founder of an exciting ministry and serves as the Pastor. I was blessed to share with him in classes in his early days at St. Mary's Seminary and University of which he is a graduate. Over ten years ago, I knew then he would be a blessing to the Kingdom of God. I was proud to also serve on his Ordination Council. In him, we are all well pleased! May God continue to bless his ministry, family and flock. O Lord! we presume not to arraign thy counsels. Thou knowest what is best. Through clouds and darkness are around thee, Justice and judgement are the habitation of thy seat. Teach us, O heavenly father, teach us resignation to thy will, and we shall find it all to be right in the end. Amen. The recent incident in New York illustrates the power of honest communications and the governments investigative powers. 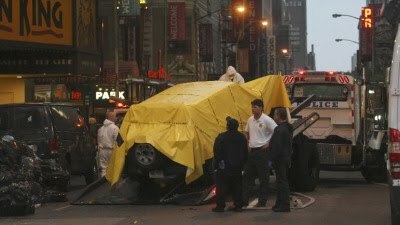 The uncovering the evil intent of the owner of an abandoned SUV began with a street vendor smelling something burning and notifying the police. This very fact demonstrates the powerful network of street vendors who have been organized to make money and to be the eyes and ears of New York's finest on the streets of the city. In my visits to New York I was always amazed by the organization of the street vendors. Their hawking of their wares didn't seem either random nor did it seem clandestine. Because of the amazing street traffic in New York a vendor standing on a designated corner with a specific product is able to make a living through their entrepreneur spirit. I understand that training is provided and structure to their wholesale purchases. For those familiar with international travel, you find similar structures in the Bahamas and Brazil. By organizing the street vendors and their fruitful relationship with local police, the New York systems has built an amazing network of eyes and ears on the ground. This time it worked! The Obama administration exhibited its outstanding forensic science ability as it pieced together the evidence that enable them to arrest a suspect who was on an airplane traveling down the runway about to take off. They stopped the airplane and arrested the suspect aboard the plane. This proves the effectiveness of The Obama administration in ferreting out persons who attempt terrorist acts within our borders. Kudos to them for their investigative and detective capacity. I will continue to visit New York to enjoy the shows, the good food, and it international favor. Almighty Father, we bless Thee for children, for youth, and for all who fill our institutions of learning. Reveal to them the glory and beauty of life. Enable them to rise to their opportunities. we implore Thy blessing, O God, on all the men and women who teach the youth of our community. May they revere the young lives which have newly come from Thee. Gird these teachers for the task, and save them from loneliness, discouragement, the numbness of routine, and all bitterness of heart. In all things draw us to the mind of the Great Teacher, in whose name we pray. Amen. 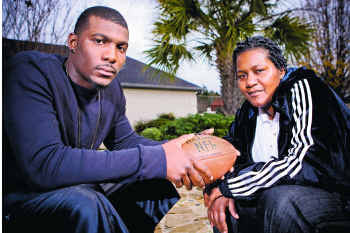 In this picture you have Dez Bryant, first round draft pick of the Dallas Cowboys and his mother Angela. When interviewed by the Miami Dolphins the question was asked of him was his mother a prostitute. They later apologize to him. Biblically the sins of your fore parents do not fall to their children. You always was a black queen, mama." There is an unbreakable bond between a mother and a son that is everlasting. Another popular lyric is, "I'll always love my mamma, she's my favorite girl. I'll always love my manna, she brought me in this world." I pray for Dez Bryant to have a successful and profitable career as a professional football player. I also pray that Dez will do those things for his mother that reminds her she is loved and that she will be provided for by her son. He as a successful multi-millionaire professional football player is sufficient reward for a mother who struggled to do the best she could for her child. Thou, who art the eternal God and our Father, hast set before each of us an untraveled way full of beauty and mystery, and calling for courage and the spirit of adventure. Grant us Thy kindly light to lead us onward. To the youth of this day in all nations, give us a vision of Thy purpose for their lives; and to us who are older, grant a return of the wonder which was the glory of our youth and which as we beheld it brought Thy light into our hearts. Oh, let not the wonder fade or the light become darkness, lest we lose our way. In His Name. Amen. Thou who hast brought us thus far on the way. Lest, our hearts drunk with the wine of the world we forget Thee. True to our God, true to our native land!